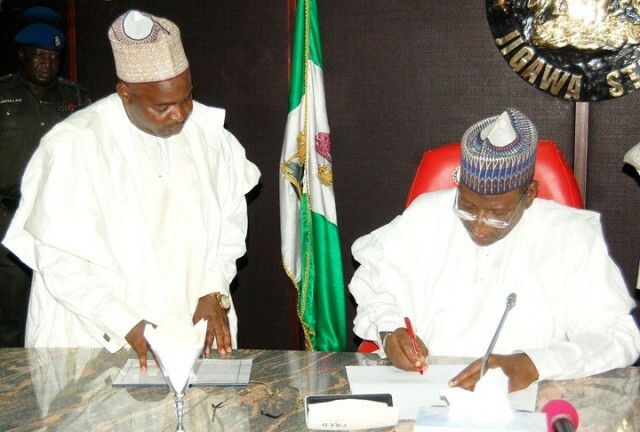 The Jigawa State House of Assembly has passed a vote of confidence in Governor Sule Lamido. Declaring their unalloyed support for the governor through the Speaker, Adamu Ahmad Sarawa, the lawmakers said whatever the situation and circumstances, they would stand by Lamido, who they believe is a patriotic and exemplary leader. “In Jigawa State this can never happen as the house in cordial relationship with our capable and able governor who transformed the state within a short time. “Our governor deserves all our support and respect. He has allowed the Assembly to exercise its statutory duties without any interference. “I want assure you that the Assembly supports Lamido and we will keep supporting him”. The Speaker enjoined the people to continue to support Gov. Lamido and shun detractors who want to bring acrimony to the state.